Do you need to have an auto repair made to your vehicle? There are about 230,000 shops throughout the country that would welcome you and your car. But rather than bringing your vehicle to a mechanic garage, you should strongly consider bringing it back to the dealer that sold you the car instead. It doesn’t matter if you’re having a major repair made or simply need a routine oil change performed. The dealer is ultimately going to be your best option. There are a number of reasons why you should take your vehicle to a dealer as opposed to a mechanic garage. Browse through a few of the most important reasons below. When you send your vehicle into the shop for service, you want to make sure that only Original Equipment Manufacturer (OEM) parts are put into it. If other parts are used, it could result in more car troubles for you in the future. There are some mechanic garages that’ll use OEM parts when they make repairs to vehicles. But there are also many that’ll use aftermarket parts that won’t work as well as OEM ones will. There are even some garages that’ll use a combination of OEM and aftermarket parts during the course of a single repair job. You won’t have to worry about a dealer using anything other than OEM parts. Dealers have easy access to OEM parts and won’t use anything else when they’re working on your car. 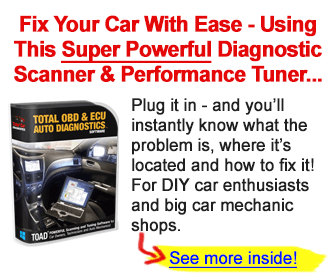 It’ll put your mind at ease the next time you need to have a repair made. Many mechanic garages are on the smaller side. They only have one or two mechanics working in them at a time, which can really slow down the repair process and cause them to take several days to work on your vehicle. This is another issue that you won’t run into when you go with a dealer instead. Most car dealers are substantially larger than small garages, and it allows them to make repairs and perform services on cars very quickly. Often times, you can take your car to a dealer and have them perform repairs and services on the spot so that you aren’t without a car for days or even weeks at a time. There are a lot of repairs that mechanic garages can make to cars. If you need to have new brakes put on a car or certain engine components replaced, they won’t have any trouble doing it. But there are also a lot of complex repairs that mechanic garages aren’t qualified to make. For example, you usually don’t want to trust a garage to repair one of the electronic components in a newer car. You also don’t want them working on something like a convertible top that isn’t opening and closing properly. These kinds of complex repairs are best left to the professionals at a dealer. The technicians at a place like Homer Skelton Millington Ford are part of a larger network of 35,000 technicians that are factory trained to tackle tougher repair jobs with the right OEM parts, tools, and equipment. One day, you’re probably going to want to sell your car. And when you do, the buyer will likely ask you how well you’ve maintained it over the years. In a perfect world, you’ll have all your service records organized in a folder somewhere in your house. But just in case you haven’t stayed on top of collecting records related to your car, it’s simple enough to call your dealer and ask for your records to be sent over. Dealers keep meticulous records on the cars they work on. This helps them provide people with better service when they bring their vehicle in, and it also allows them to provide customers with service records when they need them. The average mechanic garage isn’t known to provide great customer service. It’s one of the reasons why some people get nervous when they know they need to bring their vehicle in for repairs. But it’s a completely different experience at the average car dealer. Car dealers know you might return to them to buy a car at some point in the future, so they do their best to provide you with great customer service. Car dealers will greet you warmly when you walk through the door and do what they can to give you a good deal on the repairs you need to have made. They’ll also answer any questions you might have and put your mind at ease when you’re in the process of having your vehicle repaired. Do you have a warranty on your vehicle? If you do, it’s almost always better to bring your vehicle to a dealer as opposed to a mechanic garage. A garage isn’t going to be able to tell you anything about your warranty. They also won’t be able to honor it and provide you with certain parts and labor free of charge. But a dealer, on the other hand, can find out which parts on your car are still under warranty and perform some repairs and services for free. They’ll also help you keep your warranty intact by only using OEM parts and documenting any repairs they make on your car. If you’re not sure if you have a warranty, it’s a good idea to at least try to find out before bringing it to a mechanic garage. When you take your car to a dealer instead of a mechanic garage, it can sometimes cost you more money. But as you can see, there are more than a few worthwhile benefits that will come along with it. You’ll rest easier knowing your car was repaired or serviced by a dealer-approved mechanic. You’ll also prolong the life of your car and put yourself in a better position to sell it for more money later. Check out our blog to learn some of the questions you should ask your mechanic regardless of where they work.